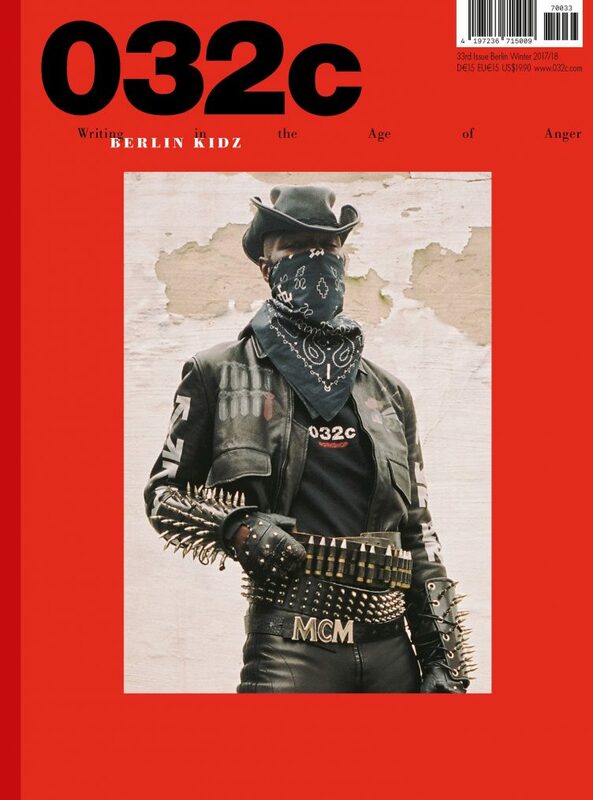 This is lesson number one of this issue’s dossier BERLIN KIDZ, which follows the anonymous group of graffiti writers, videographers, and train-surfers to the highest points in the German capital. 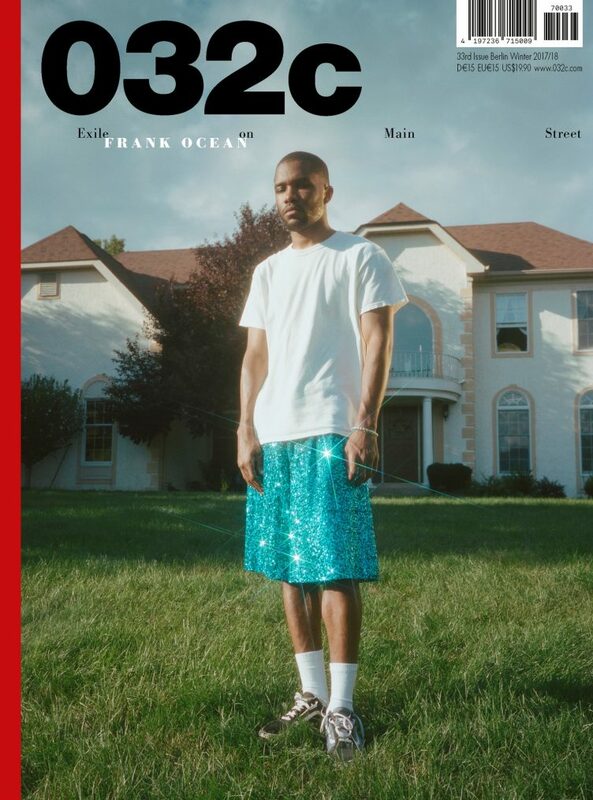 Meanwhile in New Jersey, FRANK OCEAN lives out his exile on Main Street and receives a fresh glow from PETRA COLLINS and ALEX NEEDHAM. In two 032c archeological expeditions, MARIO TESTINO explores the shores of Pompeii, while KATERINA JEBB visits BALTHUS’s Grand Chalet for an editorial posthumously narrated by a conversation between the late painter and DAVID BOWIE. We delve into the psyche (and country home) of artist JORDAN WOLFSON and escape a Parisian hospital with JACKIE NICKERSON. Writer PANKAJ MISHRA explains why embarking on modernity was such a risky project and how we ended up in an “Age of Anger.” In a chilling personal essay, CEO MATHIAS DÖPFNER recounts his travels to the Nazi Death Camps in Poland. DANIEL RICHTER and LUDWIG LUGMEIER perform a séance on Jewish exile, Al Capone bodyguard, and lost modernist JACK BILBO, while PIERRE-ANGE CARLOTTI imagines the death metal cowboys of Botswana in Berlin. We speak with ABRA, BJARKE INGELS, TACO, and JULIANA HUXTABLE, and last but not least, KRIS VAN ASSCHE, who tells us what it means to be an Homme on the occasion of his ten year anniversary as artistic director of Dior.